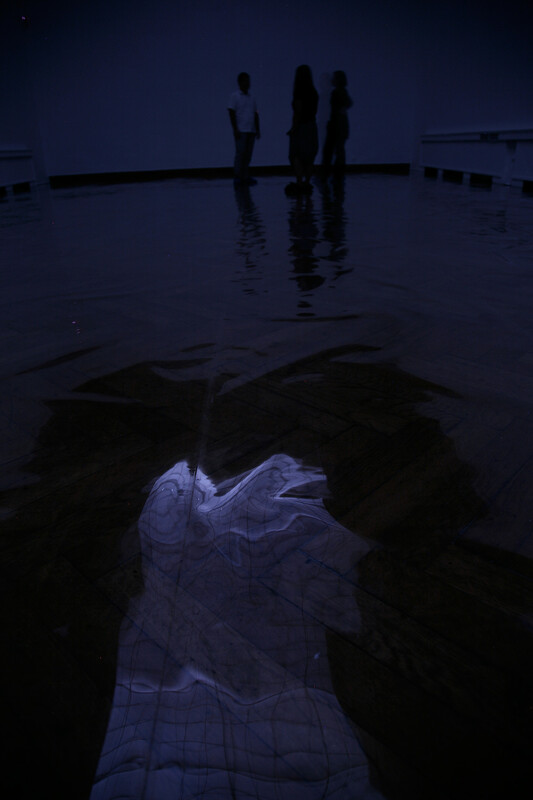 Installation view: Lability, Art Pavilion, Zagreb. Photographs: Kristina Lenard. 2009. Transparent glossy foil, adhesive tape. Dimensions variable. Slowly walking through the dusk, with a wavering depthless void beneath one’s feet. The curtains concealing the skylight are combined with the programmable light system to keep a large room in perpetual twilight. 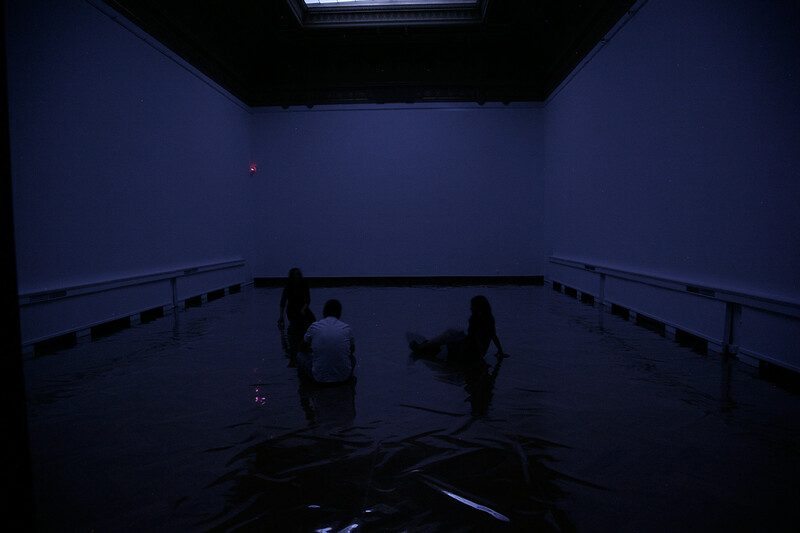 The floor is covered with the transparent glossy foil that reflects the skylight below one’s feet; as the reflection always stays beneath the viewer, it creates a sense of walking on water or over the sky.